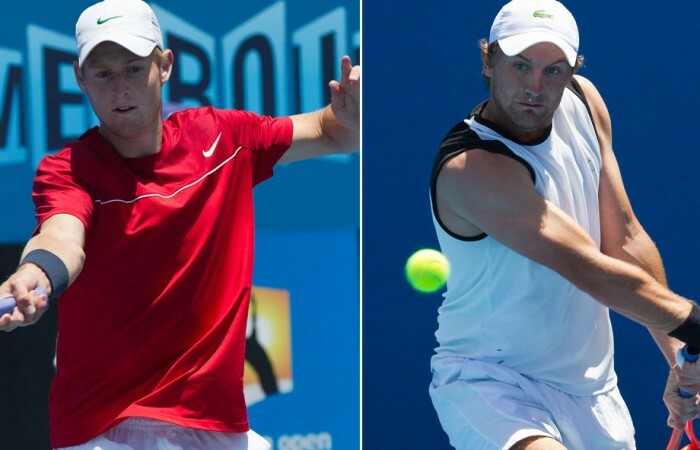 It's men's quarterfinal day as the Australian Open 2013 play-off heats up. Read our preview to find out about today's matches and watch the live stream, which begins at 9.45 am. Only eight players are left standing in the men’s Australian Open 2013 Play-off with quarterfinal action kicking off this morning. 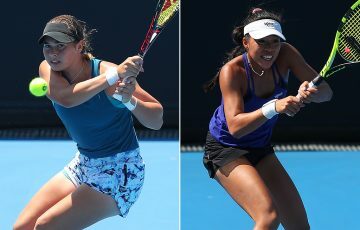 Seven of the top eight seeds advanced past Sunday’s opening round, with a wildcard entry into the main draw of Australian Open 2013 just a few wins away. The kicker, however, is the one seeded player to be knocked out of the play-off is top-ranked Sam Groth in perhaps the biggest upset of the 2012 December Showdown. 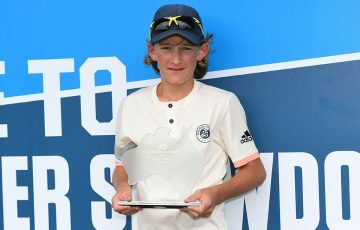 Groth’s Australian Open aspirations were dashed by 17-year-old Nick Kyrgios, who is beginning to show the tennis world what he is capable of producing. Kyrgios is coming off a sound week in the Optus 18s Australian Championships where he dropped only one set en route to the title. While Groth’s loss may come as a shock to some, Kyrgios is no stranger to pushing top seeds. Last year he almost overcame eventual champion Marinko Matosevic in the quarterfinals before going down in the deciding set. 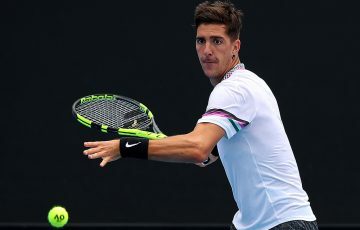 Kyrgios’s next challenge comes in the shape of eighth seed Matthew Barton who took out Thanasi Kokkinakis in four sets. Another intriguing quarterfinal match-up sees second seed John-Patrick Smith versus NSW’s Greg Jones. 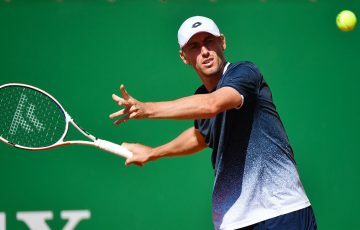 Smith, who is looking to push up the world rankings after a stellar college career at the University of Tennessee, got through his opening match relatively unscathed taking down 17-year-old Jay Andrijic in straight sets. 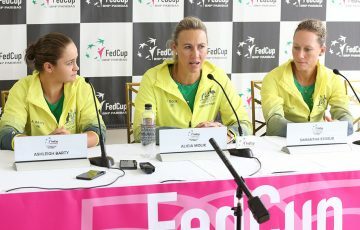 Smith’s quarterfinal opponent, 23-year-old Jones, will be looking to crack into the Australian Open 2013 main draw for the second straight year. 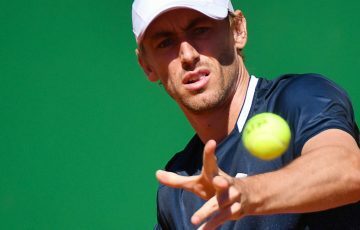 Jones lost a five-set gut-wrencher to former world No.13 Alexandr Dolgopolov in the first round of the Australian Grand Slam last January despite winning the opening two sets. The final match of the day features former boys’ world No.1 Luke Saville and third seed Matt Reid. The pair have to put their friendship on hold for a few hours as the men battle for a spot in the semis. 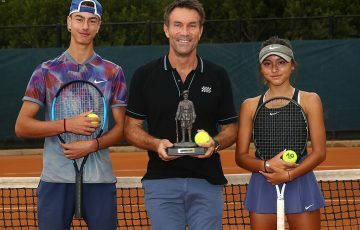 Eighteen-year-old Saville, who won the 2012 Australian Open Junior Championships, is transitioning from junior events to the pro circuit and will be keen to break into the main draw after falling in the qualifiers the past three years. His opponent, Reid, scraped his way into the quarterfinals after an epic five-set clash against Victorian Jacob Grills in the opening round of the play-off. After dropping the opening two sets, Reid powered home losing only five games for the rest of the match. Play kicks off at 10 am and you can watch all the day’s action via tennis.com.au’s live stream.